“RAJLAXMI” make Electric motors such are divided in various category as induction motors, single phase, three phase motors from 0.5 H.P to 20 H.P AC Induction motors available with us are being largely used in various types of applications like pumps, compressors, fans, blowers, lathe machines, plastic & textile machinery, cement plants, flour mills and paper mills etc. Backed by a team of skilled professionals, our company is involved in the manufacture and supply of a gigantic compilation of Electric Motor. 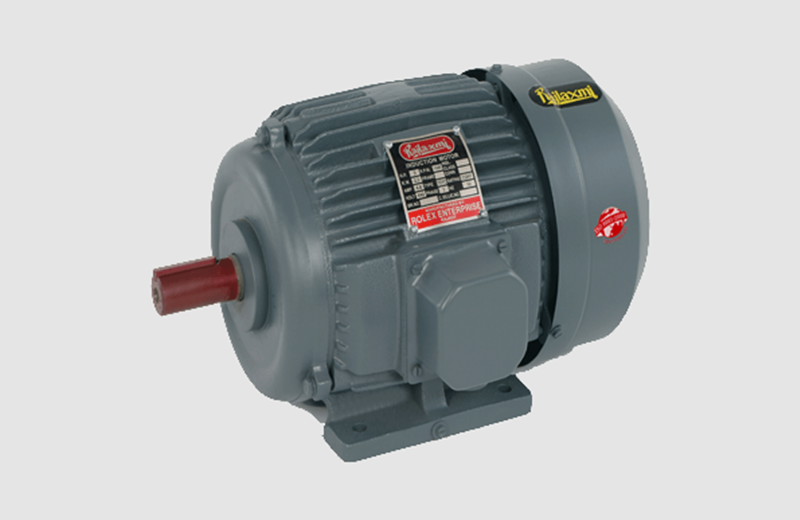 Manufactured in adherence to the present industry guidelines, these efficient and sturdily constructed motors are immensely popular for their reliable operation and low maintenance. Clients can obtain these at industry leading costs. Every Small, Medium and Large Scale machining Industry and at all the applications where rotation of the job or parts is necessary. Available with 720 R.P.M., 960 R.P.M., 1440 R.P.M, 2800 R.P.M.